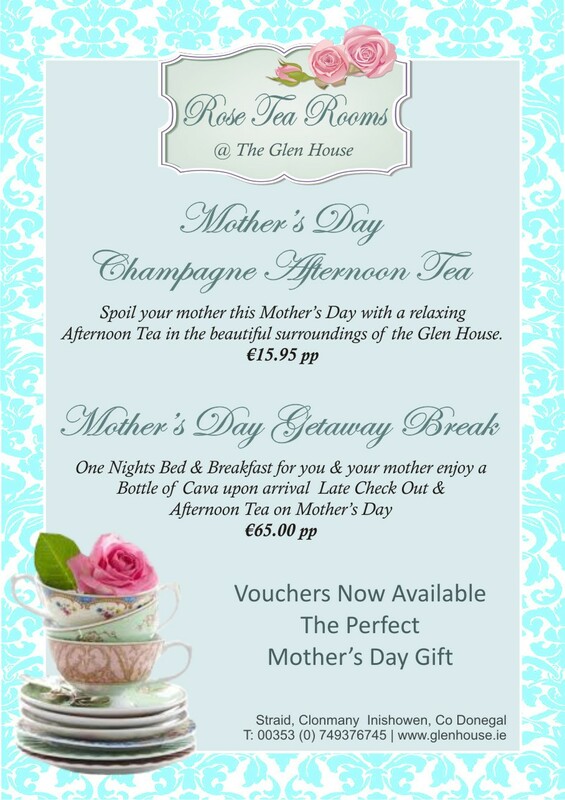 We have some lovely offers available for Mothers’ Day at the Rose Tea Rooms & Glen House B&B. Surprise your Mother with one of these wonderful treats! New addition at the Glen House! Copyright Glen House B&B. All Rights Reserved.